Nekki’s Cascadeur has previously impressed for their internal creation of parkour running game Vector, and this new version of the software is not only light-years ahead, but is opening up for sale soon. It appears there’s a layer of physics runs atop a regular keyframe workflow to produce more accurate in-betweens. Awesome. 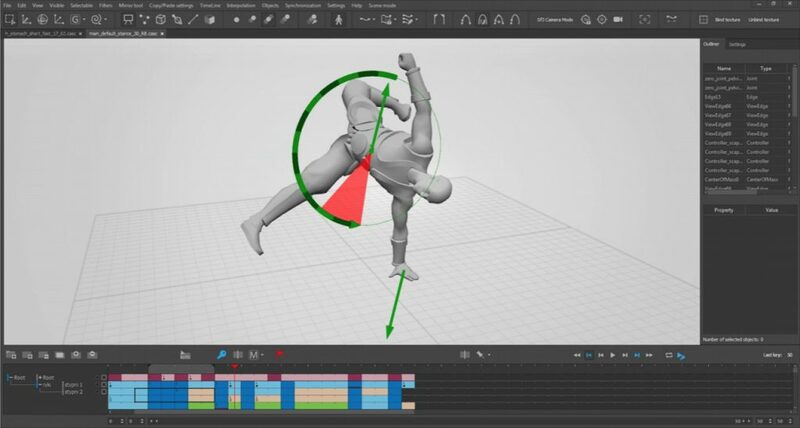 This will speed-up the procress of creating complex locomotion animations. The render shown in the video is overall a bit too linear in my opinion, lacks a bit of punch. I guess you can adjust the physics parameters to your desire to have something snappier.